Mold poses a serious risk of destroying indoor air quality and natural materials in buildings, as well as causes health problems especially for people who already suffer allergies, asthma, and other respiratory illnesses. as it has the ability to grow on nearly any surface. Mold growing on an HVAC system is common. Fortunately, technicians with the proper vocational training are equipped in detecting and preventing mold in your home. 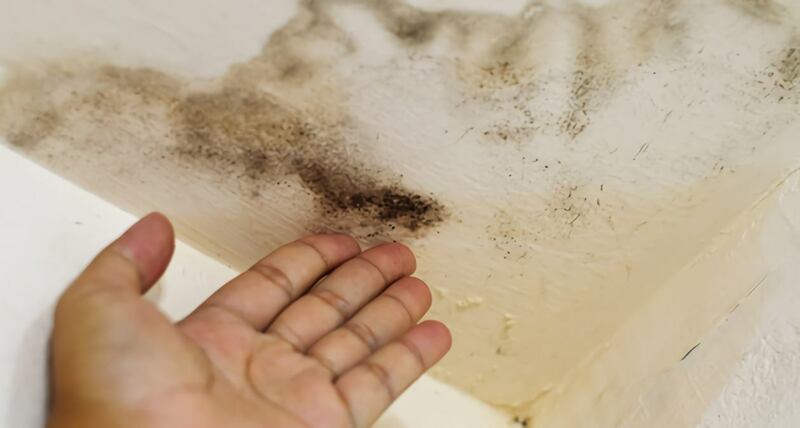 Mold grows in moist environments. Unfortunately, an HVAC system that is inadequately designed or poorly maintained and inefficient can allow excess moisture in the home notes FacilitiesNet. This is why proper HVAC design, maintenance and repair is so important. The most effective way of preventing mold growth is to control the moisture level in a building. Moisture from floods, condensation, leaks, high humidity, or other sources should be stopped upon identification of the issue and cleaned. An HVAC technician can advise home and building owners of the proper temperature settings to minimize the amount of moisture in the air. Coils and Drain Pan – As humid air passes over the HVAC system’s coils, condensation collects into the drain pan, which funnels the water toward proper disposal. If the system isn’t well maintained, the water collects and moisture can seep into the home. Dehumidification Parts – Condensation can collect on ducts and other HVAC components. HVAC techs can treat this equipment to prevent built up moisture which promotes mold growth. Outdoor Air Dampers – Keeping the units clear of dust can help prevent mold from forming. Air Filters – Air filters should be replaced regularly. Ducts – Responsible for the distribution of treated air, air ducts can become a breeding ground for mold. Ducts should be cleared of excessive dust and HVAC techs should repair leaks and clean drip pans that allow moisture into the home. Return-Air Plenum – This area acts as a path for non-treated air to return to the HVAC system; however, dirt, debris, and moisture in this area can promote mold growth and should be removed as soon as possible. Cooling Towers – Cooling towers constantly contain water to facilitate the removal of heat from warm air. This water should be chemically treated to prevent growth and sediment should be periodically removed. Air Intakes – An accumulation of dust, debris and vegetation forming on an outdoor unit promotes mold growth. An HVAC tech should inspect and remove accumulations. HVAC technicians ensure your home is adequately warm or cool when your system isn’t running properly. But they also play an important role in preventing mold and keeping people healthy in their homes.